The MGF is aiming to provide opportunities for young Myanmar talented golfers to get into international level supporting by R&A development programme. Fairly and squarely, the MGF aims to provide opportunities for talented junior golfers to develop their skills and simultaneously, introduce the game of Golf to others at grass-roots level supporting by R&A programme. 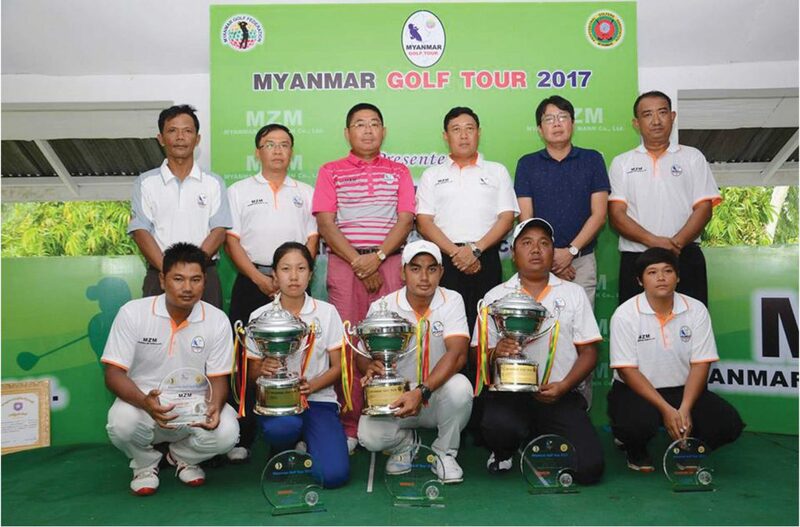 MGF (Myanmar Golf Federation) has been formed since 1957, which is a national governing body in game of golf under the guidance of Myanmar Olympic Committee. The Minister for Sports, as a Patron who is also acting as a president of National Olympic Committee hearby. Myanmar Olympic Committee which is head by Minister for Sports to laid down necessary National policy. The president, Vice president and General Secretary of the MGF are nominated and selected with the approval of Myanmar Olympic Committee. Others executive committee members and general committee are nominated by the President and former members. 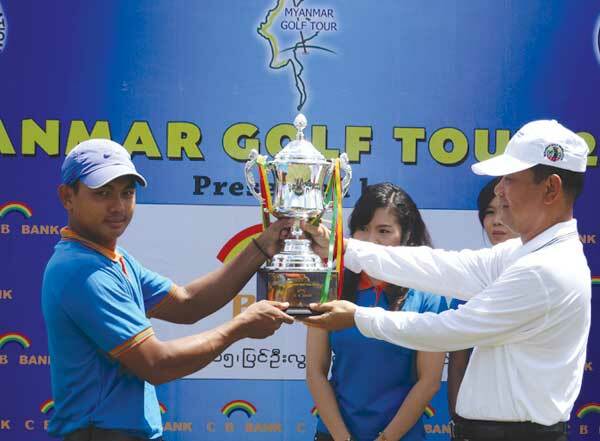 Secretaries of all Myanmar Golf Clubs are also members of the committee. The ban on golf in Scotland is lifted and within two years King James IV of Scotland takes up the game himself. Archbishop Hamilton’s Charter recognises the right of the people of St Andrews to play golf on the Old Course. Mary Queen of Scots reportedly plays golf just days after the murder of her husband Lord Darnley. King James VI ascends to the English throne and his court begins playing golf at Blackheath in London. The first known reference to golf balls being stuffed with feathers. They were previously made from hard leather. The first known reference is made to golf in the USA with clubs being recorded in the estate of William Burnet, the Governor of Massachusetts. The first Rules of Golf are set out by the Honourable Company of Edinburgh Golfers. The Society of St Andrews Golfers is formed. It became the Royal and Ancient Golf Club of St Andrews in 1834. The Old Course at St Andrews is reduced from 22 holes to 18 holes. This became the recognised format for the game around the world. The gutta percha ball is introduced. It was a solid ball, made by softening strips of gutta percha, (dried sap of a Sapodilla tree) in boiling water and then moulding the ball by hand before placing it in cold water to harden. The secretary of Royal Liverpool Golf Club came up with the idea of an amateur event in which leading clubs were invited to send entrants. The Amateur Championship is played for the first time in 1885 at Hoylake. It is won by Allan MacFie of England. Persimmon becomes a popular wood for making club heads. The Ladies’ Golf Union is formed in the UK and the British Ladies’ Amateur Golf Championship is played for the first time at Royal Lytham & St Annes. It is won by Lady Margaret Scott of England. The United States Golf Association (USGA) is formed in New York. One of its most important functions was to serve as arbiter for questions of amateur status. The five charter members of the newly formed the USGA were the St. Andrew’s Golf Club of Yonkers, N.Y., Newport (R.I.) Golf Club, Shinnecock Hills Golf Club in Southampton, N.Y., The Country Club in Brookline, Mass., and Chicago Golf Club in Wheaton, Ill. The first Professional Golfers’ Association (PGA) is formed in the UK. Golf is played for the second time in the Olympic Games in St Louis. Only men’s competitions were staged. (A team event of 36 holes stroke play won by the United States of America’s team and an individual event was won by George Lyon from Canada). The PGA of America is formed and the US PGA Championship is played for the first time at Siwanoy Country Club in New York. The Ryder Cup is played for the first time between the men’s professionals of Great Britain and the USA at Gleneagles. It is won by Great Britain. Steel shafted clubs are accepted by The R&A. The inaugural Masters is staged at Augusta National. It is won by Horton Smith of the USA. The Ladies’ Professional Golfers’ Association (LPGA) is formed in the USA. The Tam O’ Shanter World Championship of Golf becomes the first nationally televised golf tournament in the USA. The LPGA Championship is played for the first time at Orchard Ridge Country Club. It is won by American Beverly Hanson. The Women’s British Open is played for the first time at Fulford Golf Club. It is won by England’s Jenny Lee Smith. Metal woods made of stainless steel are introduced. The Evian Masters is played for the first time at Evian-les-Bains in France. It is won by Helen Alfredsson of Sweden. Materials such as graphite, titanium, carbon fibre and tungsten are used to manufacture golf clubs. The World Amateur Golf Council becomes the International Golf Federation. The International Olympic Committee (IOC) votes in favour of golf returning to the 2016 Olympics in Rio de Janeiro. The 150th anniversary Open Championship takes place on the Old Course at St Andrews. Golf was played at the Olympics in Rio de Janeiro for the first time in 112 years.